One of the much awaited Hindi movie of the year, Multi starrer Kalank has finally released out this Wednesday. 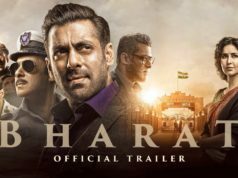 It had massive pre-release hype among fans and has taken a good start on box office. But critics are not looking completely satisfied with the movie. Opposite to the all earlier expectations, the movie is getting not so favorable from critics as well as moviegoers. Audience isn’t find it entertaining and most of them showing thumbs down to it. But still stars’ fans are coming in support of the movie and creating buzz about it on social media. 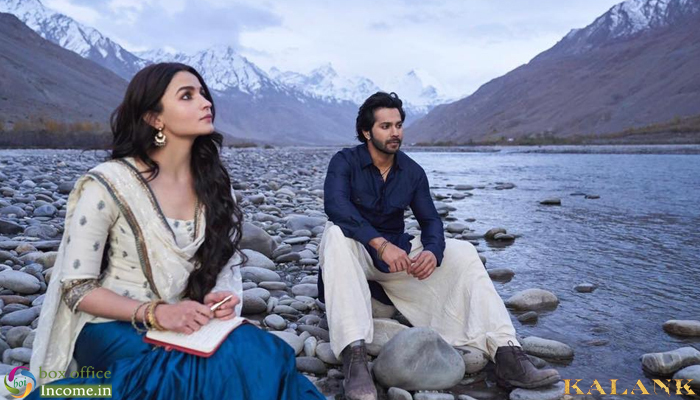 On its very first day, as expected Kalank has recorded the overall occupancy of more than 50% across the country but the mixed response of viewers has melted down the craze of audience and most of the fans. The movie has minted the amount of near about 21.60 crores (4000 screens) as its opening business from Indian screens only. Starring Alia Bhatt, Sonakshi Sinha, Madhuri Dixit, Sanjay Dutt, Varun Dhawan & Aditya Roy Kapur in lead roles, the period drama Kalank is the biggest film of the year so far with whopping production cost & solid star power. Also, the makers have left no strong unturned while promoting the film. 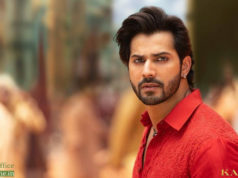 Kalank, with a run-time of 2 hours 48 minutes, Produced by big production banners- Dharma Productions, Nadiadwala Grandson Entertainment & Fox Star Studios. The upcoming holiday, Good Friday, is also likely to boost its collections at the box office.